Diversifying your creative department has never been easier if you access the biggest untapped pool of creative talent - women who have taken a break from the workplace. A forgotten source of experienced, award-winning and highly driven creatives is waiting. In our industry, just over half the women who go on a maternity break return to the workforce. The other 48% leave and then find there is no way back with a CV gap and a biased recruitment sector. "Yes, this is about mothers," says Cilla Snowball OBE, chief executive of Abbott Mead Vickers BBDO and chair of the Women’s Business Council, "but it’s also about older women as just 2% of our workforce are women over 50. Many simply need a bridge back." 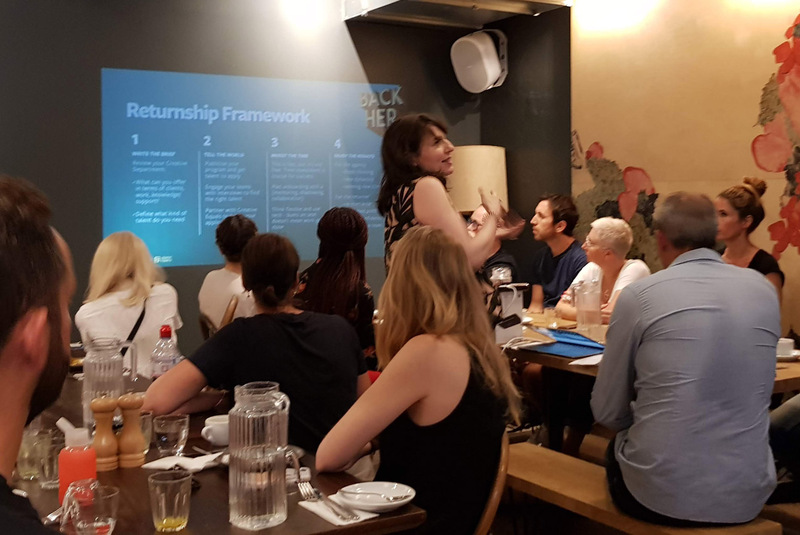 Kat Hahn, Northern Europe lead at Facebook’s Creative Shop, and I have launched BackHer, a Creative Equals returnship programme and open-sourced framework following a successful pilot with two returning mothers at Creative Shop. "With the help of Creative Equals, we designed a programme to immerse women into crafting for mobile to enable them to become Facebook and Instagram specialists over a 12-week period. This helped them to refresh their folios and regain their confidence with clients," says Hahn. "Our best testimonial is this from one of the returners: 'The programme has done a fabulous job as I’m now working again.' For us, this is why we’re now open-sourcing our framework to make it accessible to the whole industry." Returning to the job market is a tough, as creative director Natalie Turton discovered. "After being offered a job and then having the offer retracted because I needed to leave at 5pm to pick my son up from nursery, I realised I’d been naïve in thinking it would be easy to return after maternity leave. My previous agency experience didn’t seem to count. What mattered more was that I could sit at a desk from 9am to 6pm. Something I couldn’t do now I had childcare commitments. One headhunter even told me if I wanted to leave at 5pm, I should consider a career outside advertising." "At Publicis, where I’m currently working, I leave at 4.30pm without a problem and do a four-day week. It’s about the work I do for them, not the hours I work. My partner, Lorelei, also does a four-day week, not because she has a child but because she needs the time to work on her other job – comedy writing. Flexible working benefits everyone, not just parents. And, in turn, these outside commitments make us more interesting employees." Lauren Badley of the Government Equalities Office’s Returners Team says: "On returning to work, women earn about 2% less on average for every year out of paid work. The penalty is worse for highly qualified women, who earn 4% less on average for each year they take out." As Clemmie Telford, a former creative director and now an Instagram influencer, says: "There was a day I discovered I’d become a depressingly clichéd statistic as an underpaid creative director, perhaps because my seniors felt I wasn’t progressing since becoming a mother or it was the comeuppance of flexible working. Fortunately, I’d started a side hustle that has now become my career – it offers me the opportunity to work with brands, on an agile basis, as well as nurturing my family and career. Agencies will lose talent like me unless they adapt." Ask: what can you offer in terms of clients, work, knowledge and support? Some returners' programmes offer retraining on the job, paid as a ‘returner’, while others lead to a job. Consider how your contracts are designed: are they a standard 9am to 6pm contract or do they support flexible working. Could you offer a job share? Or, like DigitasLBi, could you flex this job around the school calendar? Identify the skills you require, think creatively and about your brand as an employer. If you are writing a job ad, write "flexible working available". Publicise your programme but consider where you might find this talent because they might not be on LinkedIn. It might be better to use Mumsnet or word of mouth because these women are not often on the "recruitment books" if they’ve been out of the industry for a while (and many recruiters are hesitant to represent them). To interview, make sure you have parent on the panel who can answer any parent/carer-related questions. Ideally, you’ll have a parents' network set up plus a private breast-pumping space if required. Time investment is critical for success. Planning on-boarding is key. The BackHer programme offers a clear structure of support, with a mentor, shadow framework, peer-buddy and daily check-ins with a line-manager. "To make it work, think flexible and put tech to use," says Hahn. "Many of our meetings are conducted remotely." With the benefit of rich and deep life experience, you’ll gain fresh thinking, new dynamics and the potential to gain new clients. More importantly, your junior female staff will see your commitment to creating role models – Creative Equals’ research shows up to 60% of junior female talent don’t feel they can stay in the industry with a young family. The returner will have fresh work for their folio, renewed confidence, an income and the chance to do again the job they once loved. Snowball launched her agency's own programme last year. "At AMV BBDO we are trying to find ways to attract returners and have launched a ‘half-time initiative’ for returning creatives. We are also supporting the excellent work Creative Equals is doing in this space. 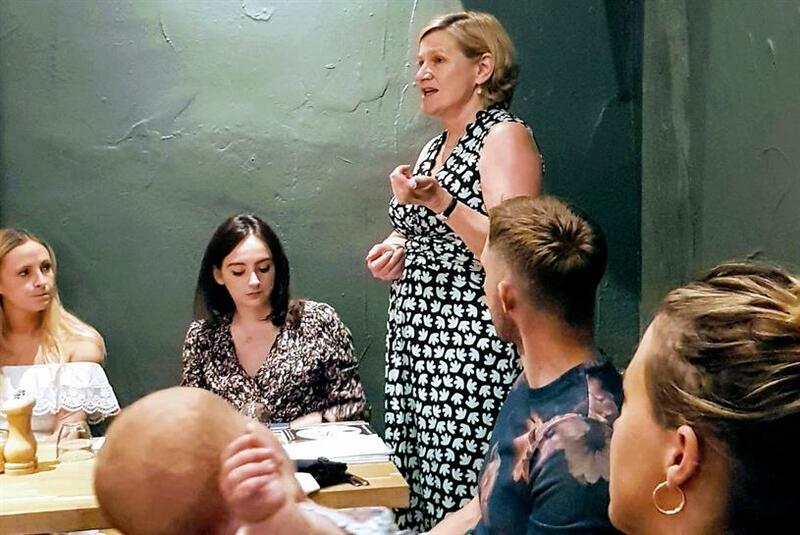 We need to recognise that new and flexible working solutions need to be initiated for men and women across the board in the industry if we are to rebalance the departments in which women are most under-represented," she says. As Hahn says: "We have two returners back to work here and are looking for new candidates for Facebook’s Creative Shop later in the year. Interested women can apply on the Creative Equals website. We are also looking to scale up – we hope to run a BackHer boot camp for 20-30 returning creatives later this year. We challenge every creative company to get involved."